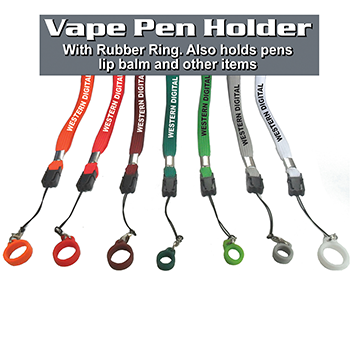 Custom printed vaping pen holder lanyards. 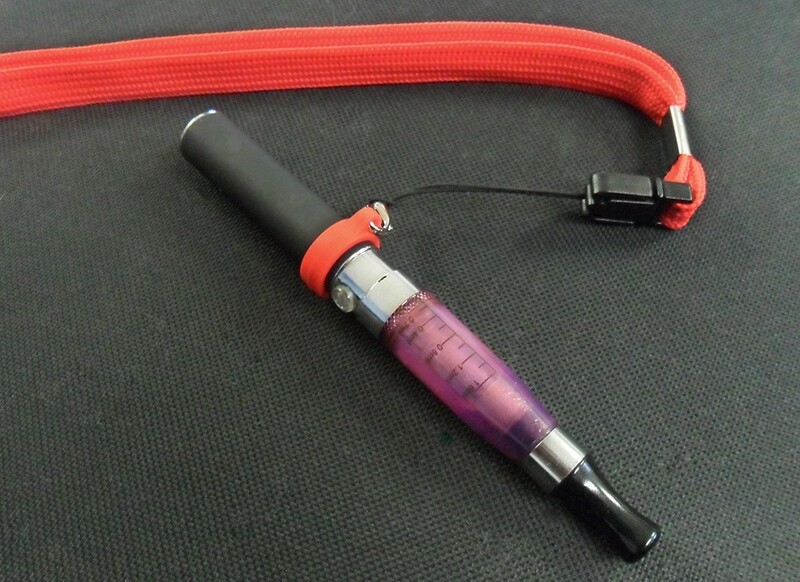 Made to hold standard "Starter Kit" e-cig vape pens. 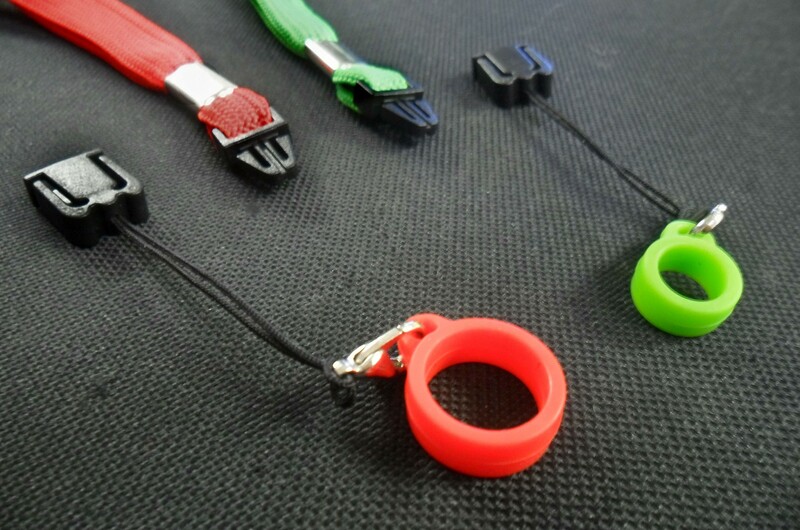 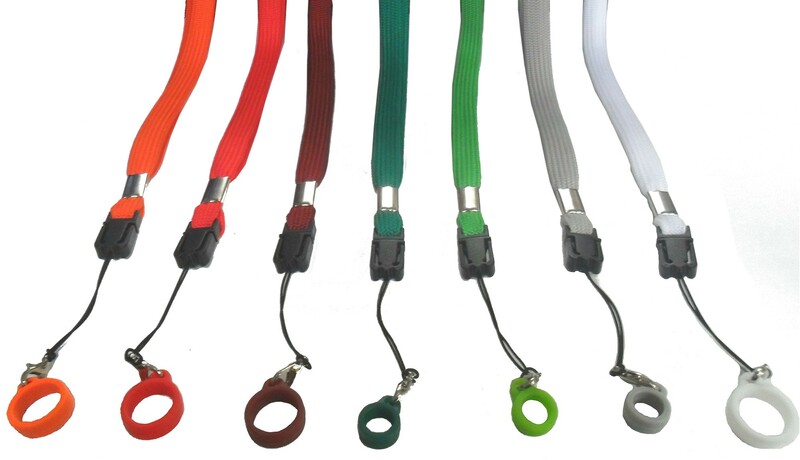 3) Mix and match pen band rubber ring colors. 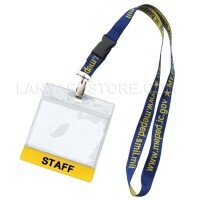 4) This lanyard also works great as a lip-balm holder lanyard and also works great as an ink pen holder lanyard. 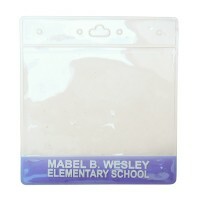 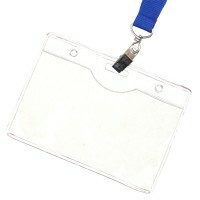 Sold wholesale only.- Minimum order 100 pcs. 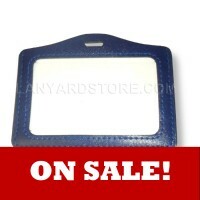 *Are you submitting a Logo or Design?